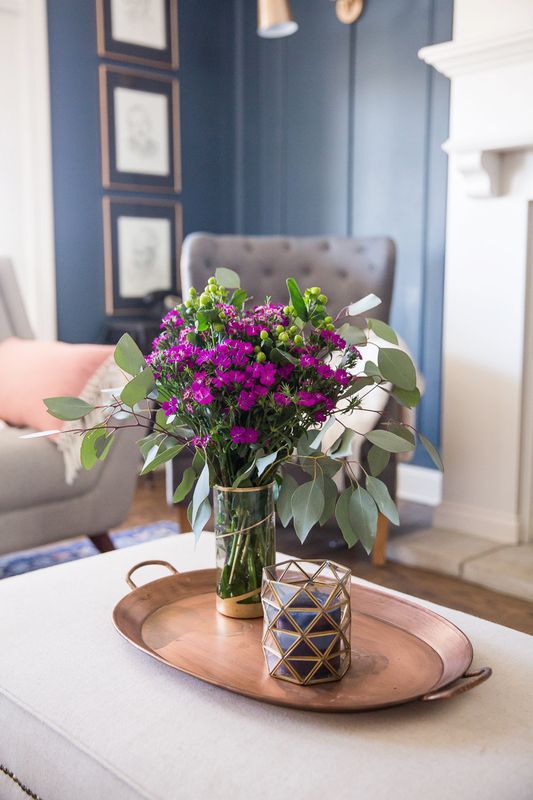 Elegant Spring Home Tour - Sincerely, Sara D.
Although it doesn’t feel like spring here in Indiana, I am excited to share my elegant spring home tour in hopes that warmer weather is on its way! 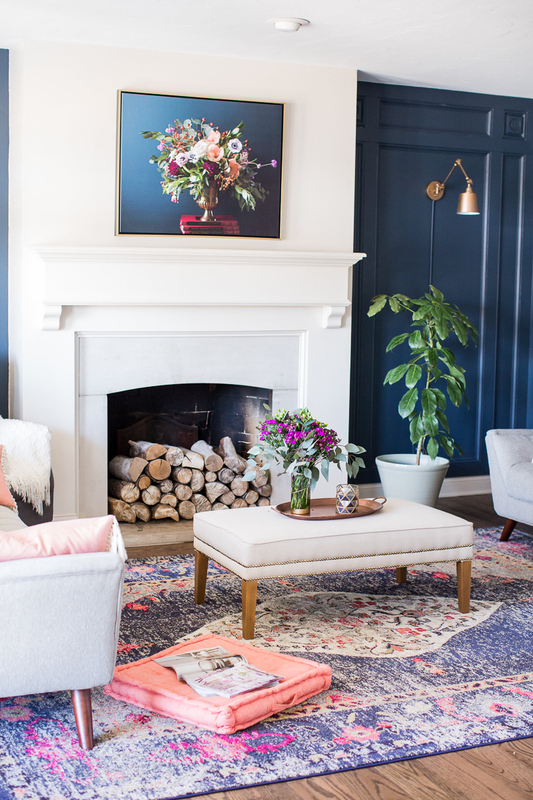 For this particular spring tour, I’ve joined 28 other decor bloggers as we share our home tours. If you’re here from Southern State of Mind, welcome! The tour begins in our dining room. 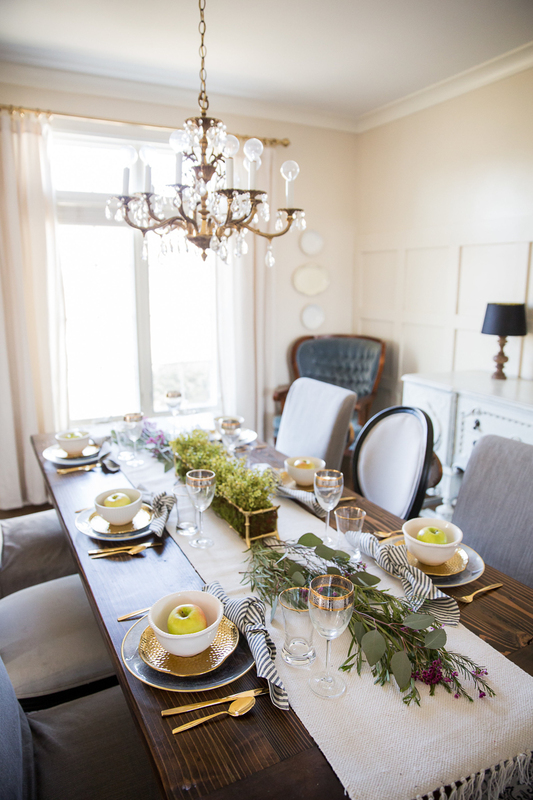 I love having a formal dining room, but we don’t use the space everyday. 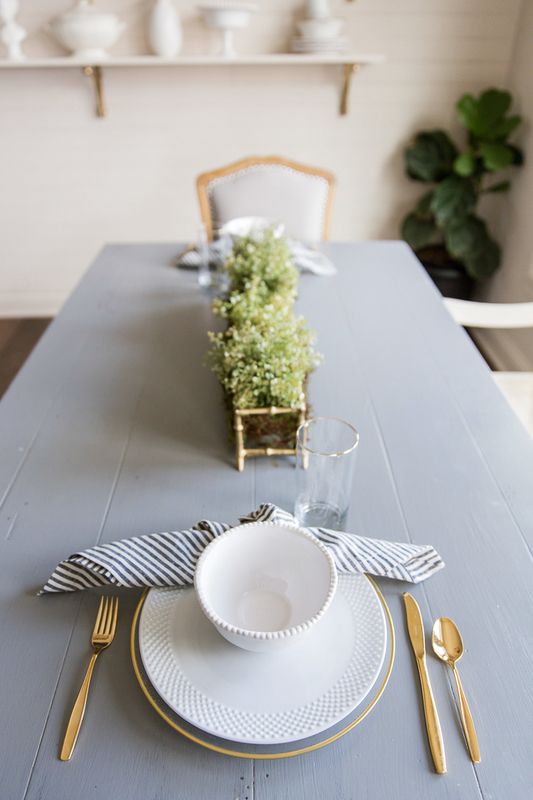 When we do eat in the dining room, it is usually for a special holiday, event or when we entertain guests. 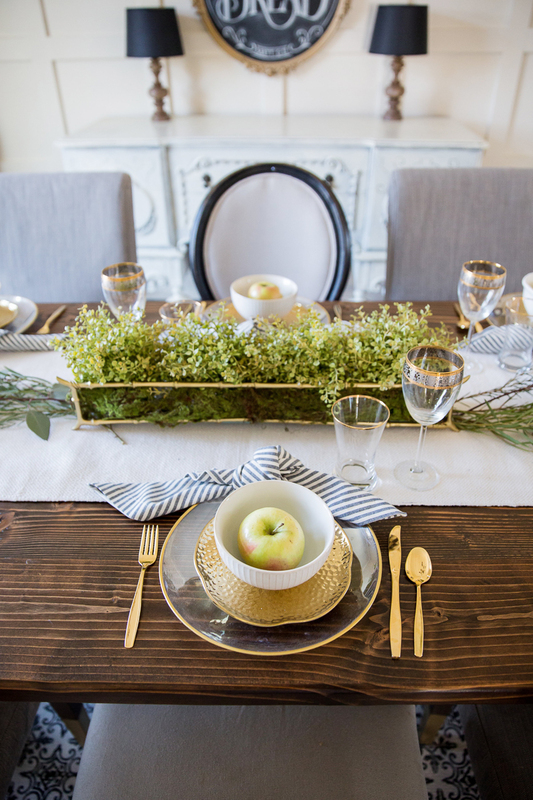 I combined both faux greenery and live greenery and added some fruit to each place setting – perfect for spring! 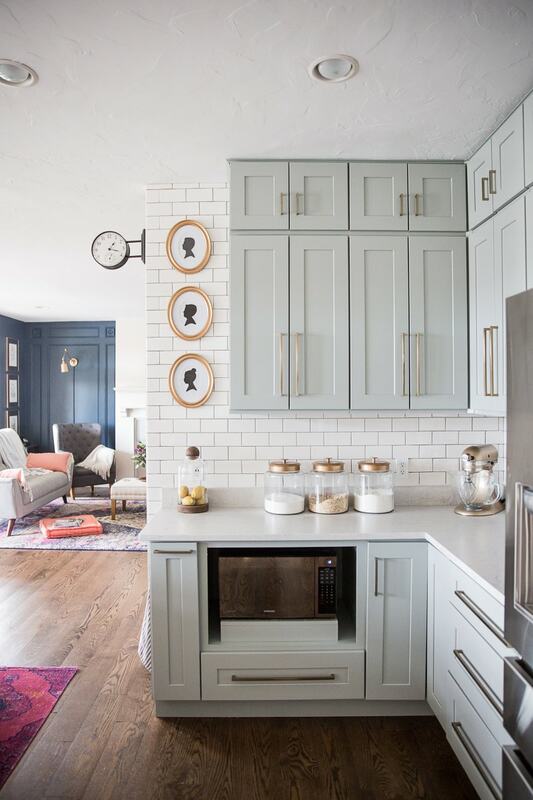 See more on our DIY paneled wall here. The tour continues to our family room where I once again added greenery for the spring season. I love decorating with live plants and have them scattered throughout our home. I added an inexpensive floral arrangement made from flowers and greenery I picked up at Trader Joe’s grocery store. I especially love using eucalyptuses because of its longevity. 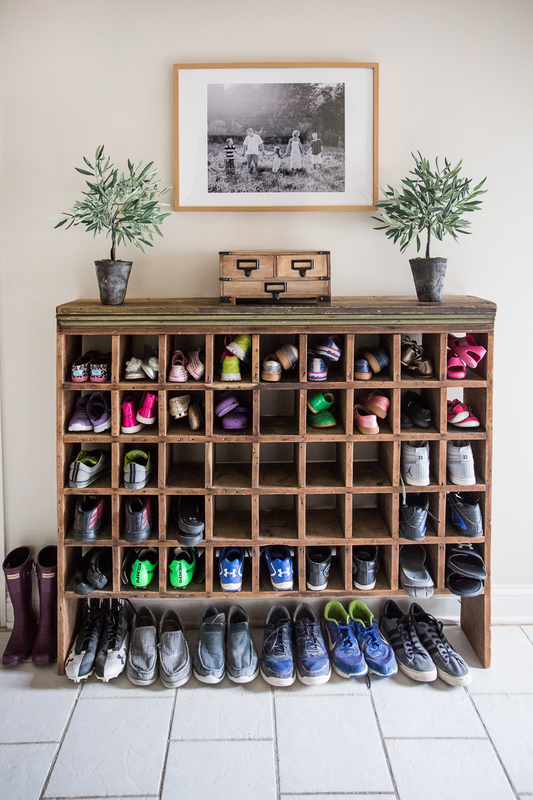 To see more on the family room DIY paneled wall, click here. Moving on to the kitchen are more touches of greenery and fruit. I am craving warmth, so I added tropical fruit like pineapple and lemons. 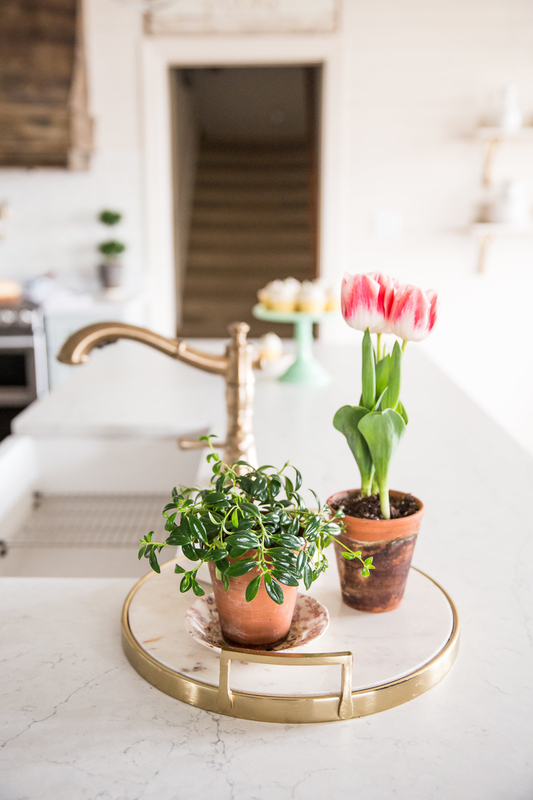 Plants are both on the kitchen island and in the kitchen nook. I found some potted tulips at the grocery store and transplanted them into a terra cotta pot for instant decor goodness. Mixing faux florals with live plants is always a good thing. 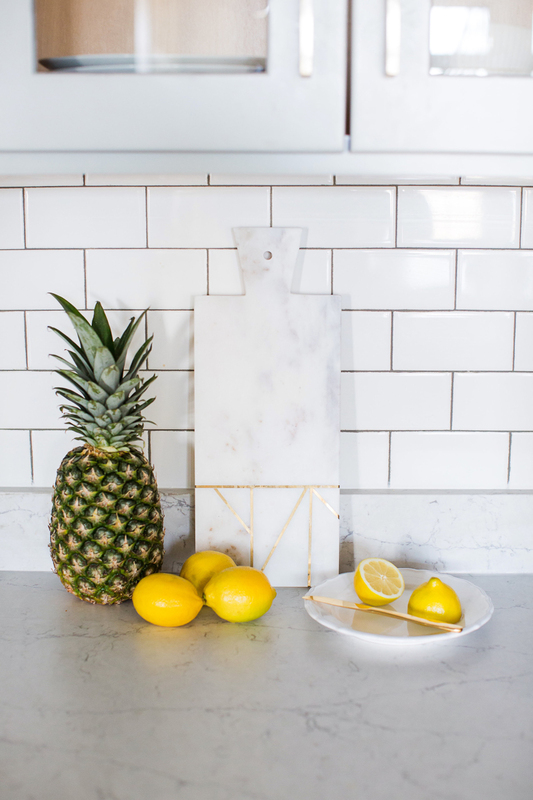 See all the details on our DIY kitchen remodel here. Moving into our back entry/mudroom, I’ve added some faux plants to brighten the space. 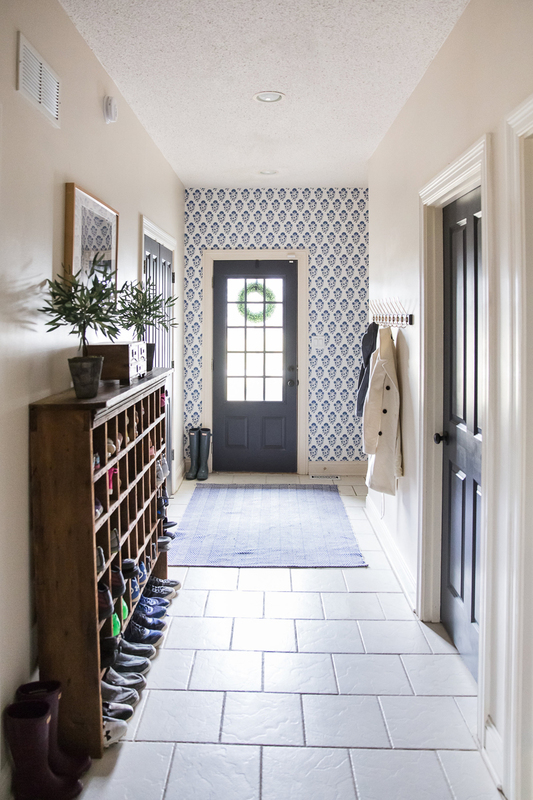 See more on this recent mudroom makeover here. Our master bath is the last space on this tour. I added a pretty bouquet I put together from some Trader Joe’s flowers. They add color to the neutral space. 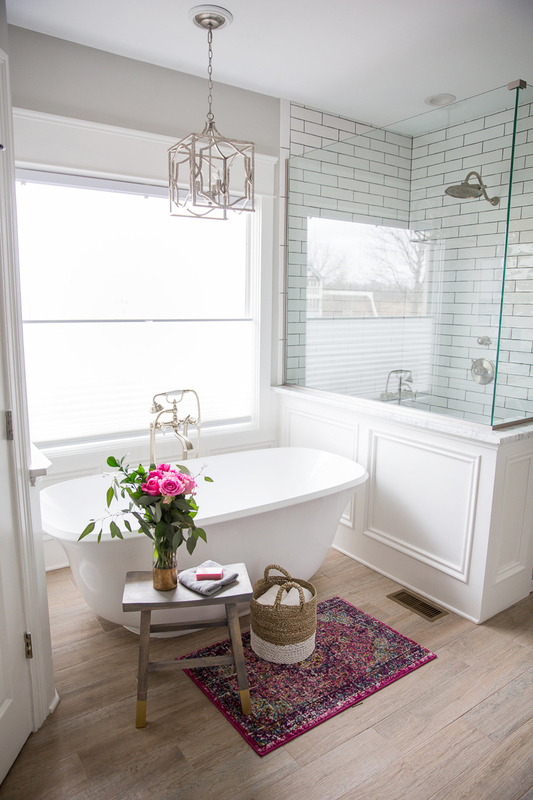 Go here for all the details on this master bath remodel! Thanks to my friend Mel of Carpenter Photo for the gorgeous photos! 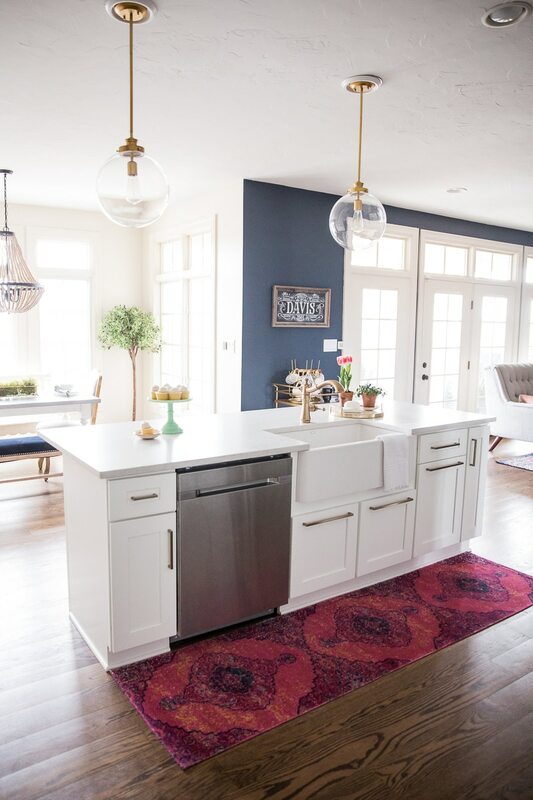 Don’t forget to check out the other blogger’s home tours, and hop on over to Town and Country Living to see the next home on today’s tours. I want to give a special thanks to The Happy Housie for hosting the Seasonal Simplicity Spring Series! Sara, you have a beautiful home! 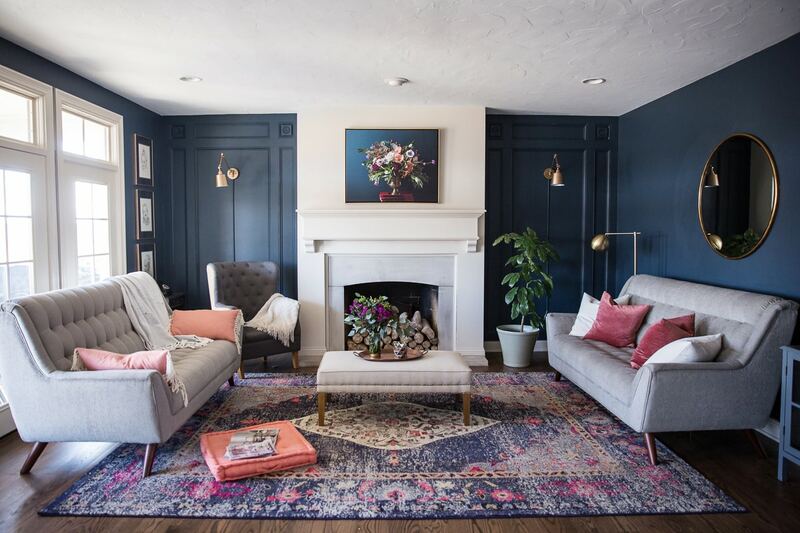 I’m so in love with your family room and that deep blue color you chose for it! 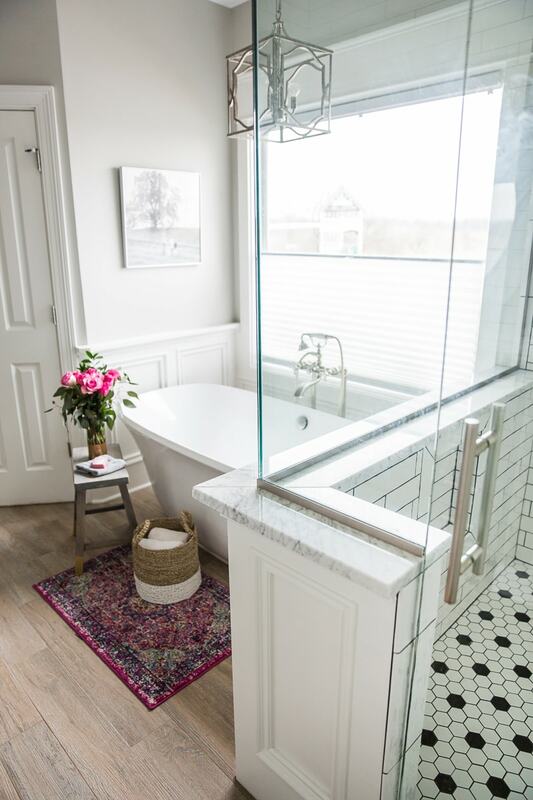 Your kitchen and bathroom are pretty dreamy too! Love your house. Thanks so much Jennifer! I’m headed your way soon – can’t wait! 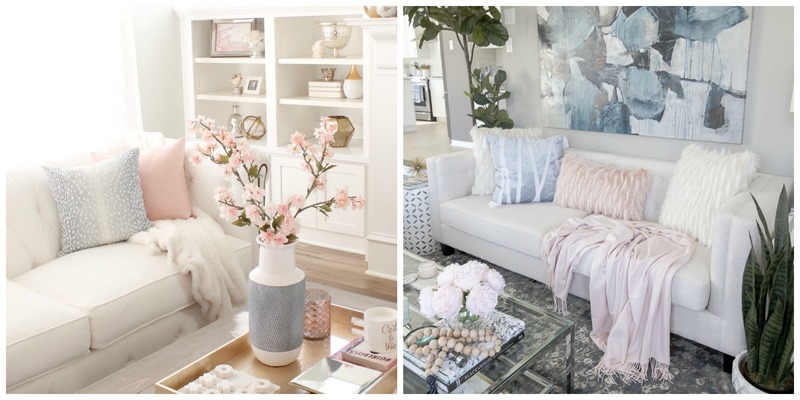 Oh so pretty, I love how you sprinkle a little color throughout your home. 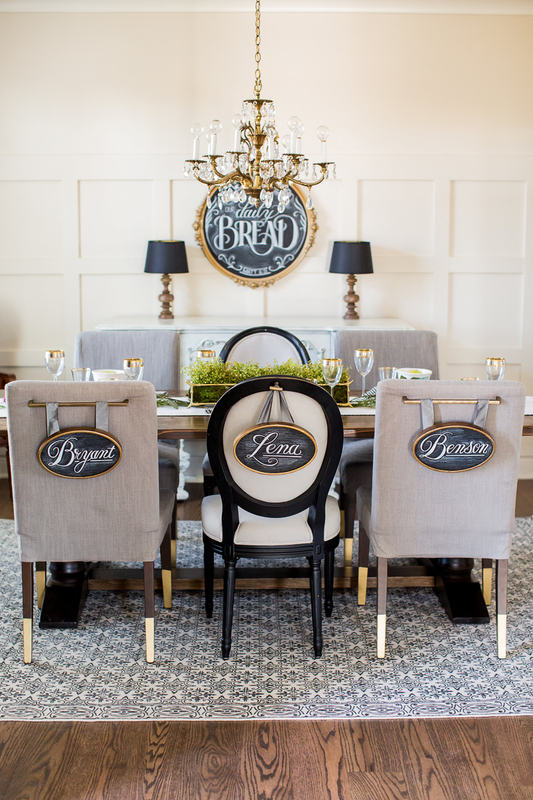 You dining room tablesetting is gorgeous and the names on the chairs really caught my eye, so fun. Thanks so much Marty! I need color – especially with all our cloudy/rainy days we’re seeing here in Indiana! Your home is so gorgeous Sara! I had to pin half your pictures!! So glad you could be on this tour series! Thanks so much for all your work organizing this tour series – it’s one of my favorites! Thanks so much Stacy! Have a wonderful week! 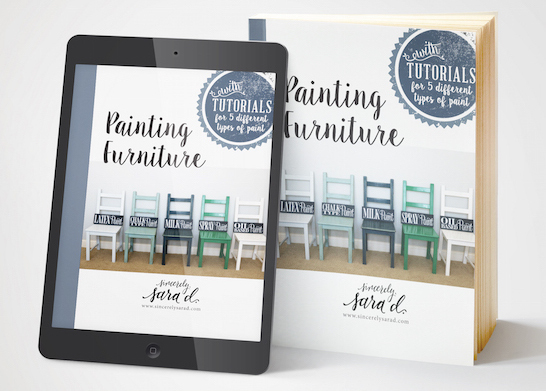 Sara, I’m crazy about your dining room! Those name tags are awesome!! Happy spring! Thank you Lory! Have a great week! Sara, I looooove your home. I could just move right in. Your table setting is gorgeous! And love the color of your cabinets…the bathroom is so dreamy…I could go on! Well done my friend. 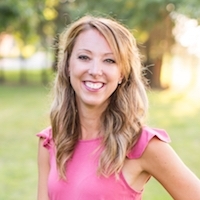 Thank you Jamie – I appreciate your sweet words! Can you tell me what type of woid floors you have on your main floor? Solid or engineered? Species? Site finished or prefinished? Brand? Hi Jalene! Our floors were original to our home, and they’re solid oak. We had them refinished last fall in Duraseal’s Jacobean with a matte finish. Have a great rest of your week! Your home is so gorgeous! I love your dinning room chairs! So classic and beautiful. Thanks for sharing!